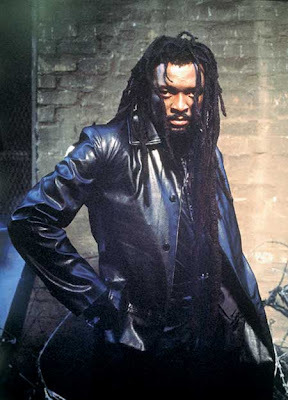 PAPA ROBBIE.NET: Lucky Dube RIP. This is senseless...If you haven't heard this man's music...Please do. Captain Cheryl Engelbrecht said the incident took place at about 8.20pm when Dube (43) was driving a blue Volkswagen Polo in the Johannesburg suburb. She said Dube was dropping off his son in the area when he was attacked. "His son was already out of the car. When he saw what was happening, he ran to ask for help." The hijackers were still at large. The boy was too traumatised to provide police with any information, Engelbrecht said. Dube, born in Johannesburg on August 3 1964, was named "Lucky" as he was born in poor health and doctors thought he would die, according to Wikipedia. But Dube survived and went on to become a front-line artist in the reggae genre. However, the singer's website, Luckydubemusic.com, says: "Giving birth to a boy was considered a blessing and his mother considered his birth so fortunate that she aptly named him Lucky." He recorded more than 20 albums in his music career, which spanned more than 20 years, according to Luckydubemusic.com . His albums include Rastas Never Die, Think about the Children, Soul Taker and Trinity. His latest, released in 2006, is called Respect. The build-up to this international success, though, started in 1982 with the release of Kudala Ngikuncenga, an album that was not reggae but mbaqanga, a genre that was to serve him well for four more albums until his transition to reggae in 1985. "The change was brought about by the fact that I wanted to reach the world. With mbaqanga I would have been seen as a tourist musician," he told the Mail & Guardian in an interview in 2001. "Don't waste your time and mine," a concert promoter told Richard Siluma, Dube's producer at the time. "No one wants to hear reggae." By 1987, Dube was the sole reggae star among South African "disco" acts and established music acts such as Brenda Fassie, Stimela and the Soul Brothers. His introduction to the international stage was heartening, such as when he was invited to play at the Sunsplash Festival in Jamaica in 1991. He recalled how the spiritual home of reggae had been waiting for him and his band. "We knew they love the music. They said we remind them of Peter Tosh." On the final evening of the festival they were called back for an encore -- and for another performance the next year. The reggae sensation, who did not drink or smoke cigarettes or marijuana, despite the association of the substance with Rastafarians, had won more than 20 awards for his music contribution locally and internationally. He is the only South African artist to have a record signed to Motown Records, according to Luckydubemusic.com. His reception on the international stage had been mixed, however. European audiences had argued that he sang world music and local audiences felt his music had changed to an extent that it flew over them. This did not seem to bother him. "We have found that locally the audience does not grow with you. People expect me to still be doing Ayobayo, yet that was 1987 and this is 2001," he said in the M&G interview. Dube always had to fend off questions of whether he was Rastafarian. "If Rastafarianism is about having dreadlocks, smoking marijuana and believing that Haile Selassie is God, then I am not Rastafarian. But if it is about political, social and personal consciousness, then, yes, I am," he said. Although his idol was Peter Tosh, he acknowledged the unshakeable influence of the king of reggae, Bob Marley, whom he described as "the reason we know reggae".